Barbara and the man who dunked him! 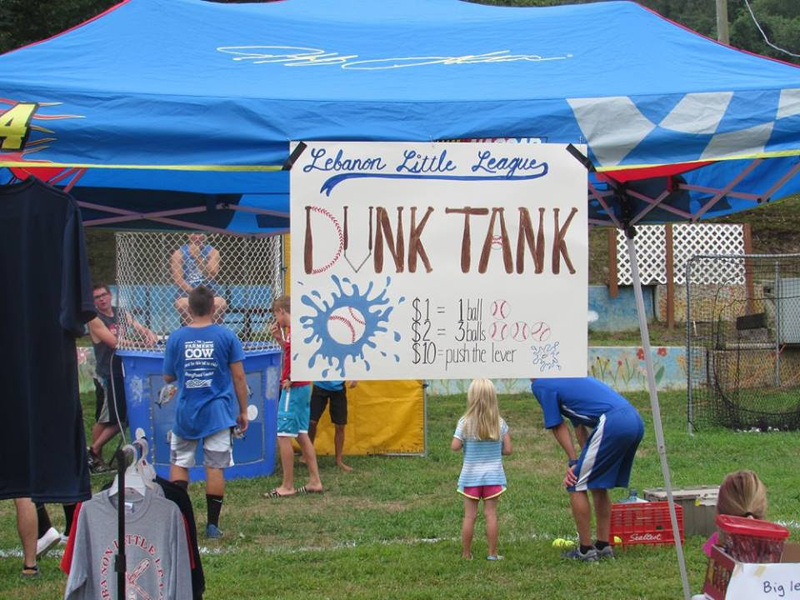 While in attendance Crouch, who is running against Cathy Osten in the 19th Senate District, entered the dunk tank to help raise money for the Lebanon CT Little League. 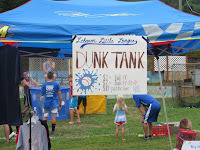 Barbara Crouch was dunked twice, once by a little league player and once by a local man. 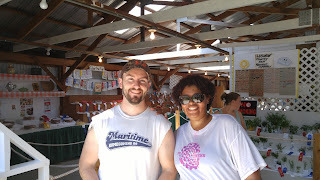 Michael Ninteau, who has personally endorsed Barbara, said, “It was a pleasure to have Barbara and Evan at the fair. It’s very important that they get out and meet the constituents. I wish her all the best and know that the RTC will be supporting her this November.” Mike Ninteau is the Chair of Lebanon’s Republican Town Committee. 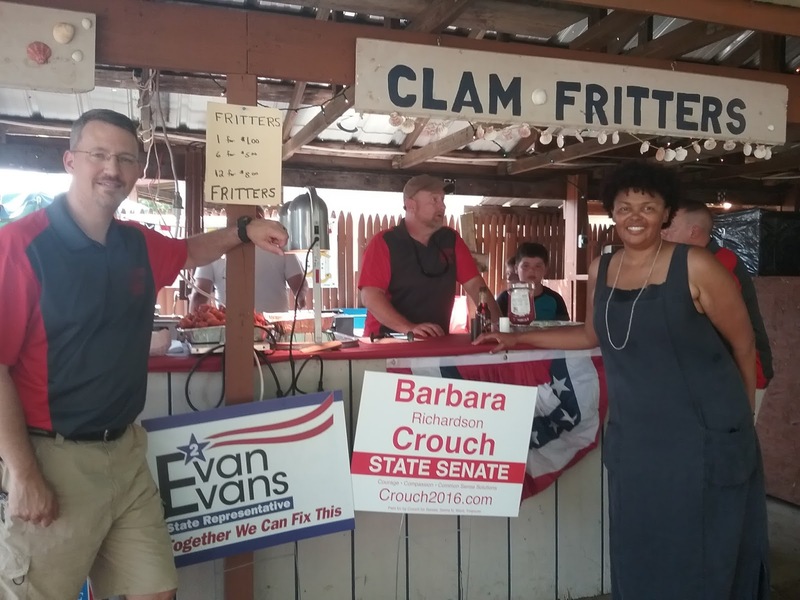 “It’s very important that Republicans show unity this year,” Crouch said. “The Osten-Malloy economic agenda has failed the state. And, that is the same failed economic agenda that Hillary Clinton wants to bring to the entire country,” she continued. 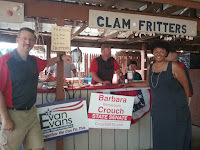 You can keep up with Crouch for Senate on Twitter or Facebook.